The Cape Series Pivot Door is a stunning addition to any bathroom. It takes up minimal external space when opened, allowing for other bathroom furniture and fixings. 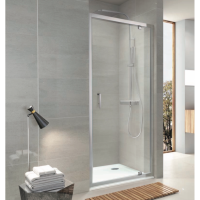 The Pivot Door can be installed into an alcove or combined with a frameless Embrace Side Panel to create a striking showering space for the corner situation. 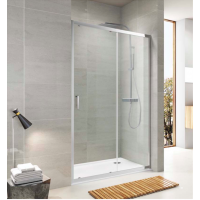 The Pivot Door features contemporary silver framing and clear glass, for a look that will seamlessly blend into any bathroom setting.